Takeaway: Today’s marketing teams face a growing list of digital channels on which to reach consumers. Here are actionable steps to put your consumer – and the product information they seek – at the center of every marketing initiative. Your customer is king. Today every marketing department is trying to figure out how to optimize each marketing initiative across the deluge of devices and media sources your target audience visits. Consumers have an overwhelming amount of information and selection at their fingertips — they can reach out or cut off contact with marketers, with a quick swipe of their smartphone or a single click on their laptop. Over the past decade, marketing departments have had to reinvent their teams, technologies, and processes because in today’s world, digitally-empowered shoppers are now completely in charge of when, where and how they buy. Ninety percent of consumers say they do their research and shopping online. Eighty-two percent say they researched products on their phones while shopping in the store. If they don’t find the content they are looking for on these digital screens, they leave and buy somewhere else. Product content is at the core of how brands can stand out on the digital shelf across multiple touchpoints, including mobile, search, social media and ecommerce. The power of digital product content is clear: It accelerates and amplifies the rest of the marketing strategy as well as the rest of the business, helping bring the path-to-purchase journey to a successful close. Marketers need to build out product content programs and creative that speak directly to the consumer where they are during the buyer’s journey. Step 1: The content team is not just your copywriters. Traditionally, product content has often held a role buried deep within the copywriting function of a marketing team. Marketers, who are on the front lines of connecting the brand voice to today’s all-powerful consumers, should push the organization to develop a cross-functional product content team that enjoys the resources, flexibility and authority to make content decisions quickly in support of sales, marketing and other departments. 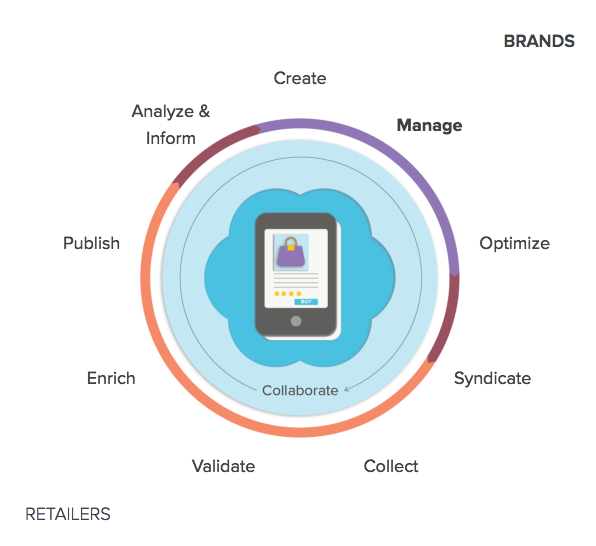 Whether that is a team of one at a small business or an entire department at a large one, a dedicated digital product content team enables brands to fully take control of providing a product’s unique selling propositions to shoppers. Step 2: Deepen your relationship with retail partners. Retailers rely on brands more than ever for the right content — turning brands into merchandising partners. While requests for content from retailers can seem like a burden on your marketing team, in reality it is also a tremendous opportunity. 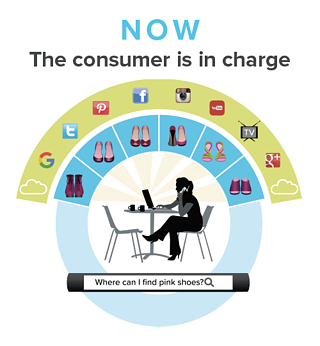 You can take control of how your brand is shown on the digital shelf like never before. Marketers are in a unique position to help the whole organization to understand this shifting responsibility. Brand marketers own the voice of the brand and are a key contributor to product content. Salsify customer Dr Pepper Snapple Group took control of its online brand presence with the same level of detail that it’s packaging, marketing and sales team used for in-store promotions by targeting its key retailers first. Read more about how the CPG brand worked with Walmart to manage and improve their product content on the retail giant’s website and drive sales growth. Developing product content is not a “set & forget” process. It is a continual process that requires frequent optimization and refreshes to respond to changing market dynamics and new product launches. You must continue to optimize and enhance your message throughout the lifecycle of each product and across your target markets. Brands who are doing this well are finding ways to centralize product content into one source of truth and automate the workflows of who within an organization can help. Liron Berlin, strategic program manager at Salsify, shares some advice on how to get your team organized around product content. The retail landscape continues to evolve fast and furiously, with the shopper sitting firmly in the driver’s seat — controlling when, where and how they shop. Marketers have already been working towards a customer-first mindset for years, so they have an unprecedented opportunity to step up. Marketing teams can make product content the heart of their own strategies as well as help lead the company into the future as a digital-first, consumer first organization. We’ve worked with a number of brands that are improving their product content to improve sales and marketing initiatives. Get our Guide for Brands: How to Win at Distributed Commerce.